- The cost associated with linear TV production, a big part of which is attributed to the broadcast medium (spectrum, satellite, cable, etc.). - The abundance of VoD content across a wide range of genres, languages and chronologies. On the other hand, Live streams are watched more than 10 times longer than VoD ones (Ooyala, Global Video Index Q3-2014), and in general, linear TV (subscription-based or ad-supported) delivers substantially higher returns than VoD (pay-per-view or subscription-based) does. How can operators take advantage of the higher returns linear TV delivers without its inherited production costs? How can operators further monetize their extensive (and often unique) VoD content without cannibalizing their pay-per-view or subscription-based audience? By leveraging the footprint of their VoD library, operators now produce theme-based linear TV channels and make them available as OTT services across multiple screens, hence bypassing the prohibitive costs associated with the production and broadcast of live programs. Further, on-the-fly transcoding of VoD content to linear OTT streams minimizes storage costs and enhances programming flexibility (dynamic overlays, content splicing, etc). - A football-themed channel with highlight reels and complimentary footage, generating buzz for the upcoming matches. - A series-specific channel that recycles episodes from the previous session, revitalizing interest and engaging new viewers. - An ethnic-oriented channel that utilizes unique and/or historical content from a national or regional VoD library, strengthening ties across nations or bridging language barriers. - A music-genre channel that promotes the top 100 most popular music clips of the month, encouraging audience engagement and multiscreen interactivity. - Dramatically augment their linear TV line-up and expand their pool of subscribers. - Reach across multiple screens and diverse geographies with minimal capital expenditure using OTT delivery. Effectively, OTT delivery opens up access to a wider range of screens and essentially liberates the operator from the narrow confinement of the living room locale and the traditional primetime window. - Generate significantly greater interest in advertising because of the self-segmented audience they attract on each theme-based channel. Operators throughout the world are beginning to take advantage of this concept and seek ways to effectively deploy and update theme-based channels. Recently, Vevo launched VevoTV, a linear-based offering that utilizes Vevos vast library of music clips in a lean-back form factor. VevoTV essentially provides an alternative/parallel monetization path through 24x7 linear programming on every consumer screen. The Discovery Channel, Food Network and National Geographic Channel are some of the best examples of the monetization potential that playlist-based lean-back programming delivers. This combined with VevoTVs use of OTT delivery medium, unified multi-screen reach and personalized ad-insertion guarantee a win-win relationship across the entire delivery chain, from the content owner to the operator and down to the consumer/viewer. Finally, metadata communicated from the CMS all the way downstream to the consumer device enable substantial new revenue streams through interactive add-on services (e.g. buy a ticket for the next football match or concert, purchase a song or album, make a reservation to a local ethnic restaurant, etc.). - Cost-effective deployment and maintenance of theme-based channels. - Automated and reliable content refresh. - Minimal reliance on multiple components (i.e., compact and robust implementation). 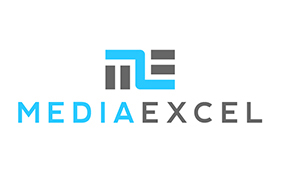 - Ability to secure, deliver and monetize the content across multiple screens, devices and networks. 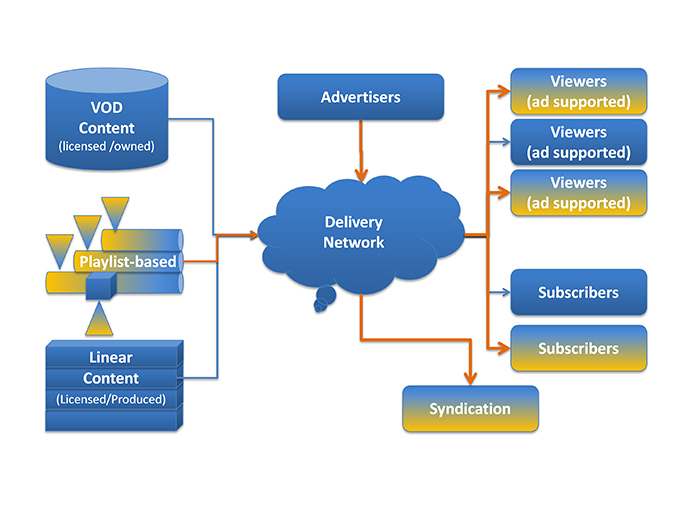 - Virtual Playout, which allows for dynamic playlists to be ingested as linear feeds, integrating directly with CMSs for seamless content acquisition and refresh. Metadata are also ingested and transcoded in-line with the media assets to enable content specific user interaction. Also, live content can be sliced into the playout schedule to further underscore the identity and value of the new program. - Multiscreen encoding, which Produces adaptive variants for every screen, network and device. - Content encryption, which satisfies diverse content delivery restrictions across multiple workflows and DRM/CA platforms. - Ad signaling/insertion, which Enables dynamic insertion of SCTE-35 markers across diverse adaptive delivery workflows and ad services. Additionally, the adaptive delivery outputs are conditioned for on-the-fly ad replacement and personalization.